Finding the right travel trailer to pull behind your truck when you want to head out on the road and explore the country is easy when you come in and see the experts at Ewald Airstream in Franklin, WI. This is where you can choose an Airstream Classic model and have the trailer that’s right to take from your Franklin home to any national park or campground in the country. The only thing you’ll want to consider when choosing this model is the configuration you want to enjoy. 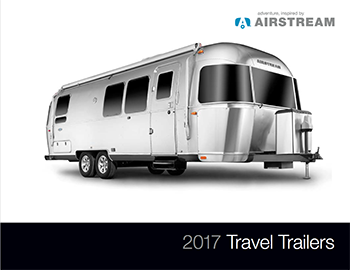 The Airstream Classic can be had in four configurations and two different lengths. The base model is the Classic 30 which is thirty feet long and offers you the space for up to five people to sleep inside the trailer at night. For most this is a model chosen in Franklin for couples because of the queen sized bed configuration that makes sleeping arrangements easy when you want to travel together. There are a few other areas that can be made into beds as well, but this version offers plenty of comfort for you on the road. Another way to have the Airstream Classic is in the 30 Twin configuration which is the same thirty foot trailer but with two twin beds instead of the queen. This configuration sleeps up to five comfortably and makes this Airstream Classic trailer the one you want in Franklin when you have a group of friends that like to head out for some fishing or hunting trips together. This configuration will allow you the benefit of an easy to enjoy area that won’t cause you to sleep with your fishing buddies who want to have their own space in the trailer as well. Moving up in size, the Airstream Classic you buy in Franklin comes in a 33-foot configuration and brings you the queen bed or twin bed configuration once again. This version of the trailer gives you a larger bathroom that’s spacious and easy to move around in while you enjoy the lifestyle benefits of this trailer. You’ll be able to enjoy the size and space of this trailer whether you’re out to see the country or you want to enjoy the look and feel of a trailer that has everything you’d normally have at home. There’s no reason not to have the comforts you’re used to when out on the road. Ewald Airstream wants to see you get out on the road and have the ride and travel trailer quality you want to enjoy. The Airstream Classic that you purchase in Franklin, WI can give you the right way to enjoy the ride and have all of the comforts you’ve been after. Let this trailer be the one you want when you hear the call of the open road where you’ll find the ability to head out on some great adventures for the exploring you want to enjoy. Come in and see Ewald for the Airstream Classic that’s right for you.